Death Valley National Park is the biggest national park in the contiguous United States, but it also includes a tiny little satellite location in the neighboring Amargosa Valley that’s well worth a visit. Actually, let’s amend that: the Devil’s Hole unit of Death Valley National Park is kind of a dud, even if it is rather important in zoological terms. 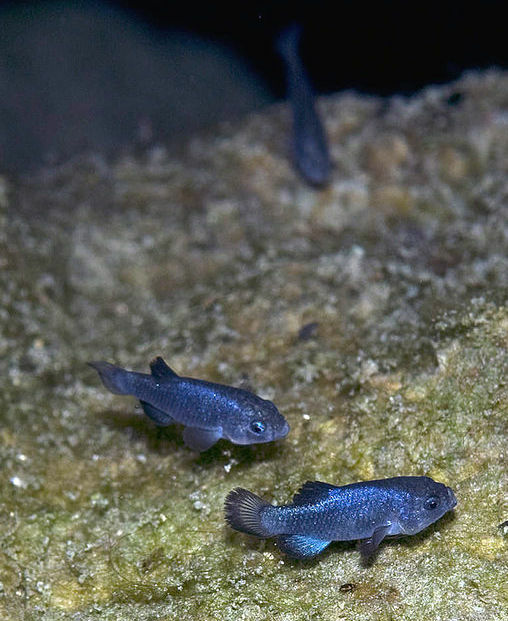 The Devil’s Hole pupfish is a species of small river fish that lives in only one place: a small limestone shelf in a cave near the top of a (possibly bottomless) cavern filled with spring water. The pupfish is a refugee from a time when Death Valley, Amargosa Valley, and the rest of this part of southern California were much wetter than they are now, full of lakes, rivers, and marshes. Unfortunately, the experience of visiting Devil’s Hole is pretty underwhelming: the cavern is surrounded by barbed-wire fences (we jokingly called the enclosure the “Pupfish Penitentiary”), and you can’t actually see any fish from the platform high above the cave. 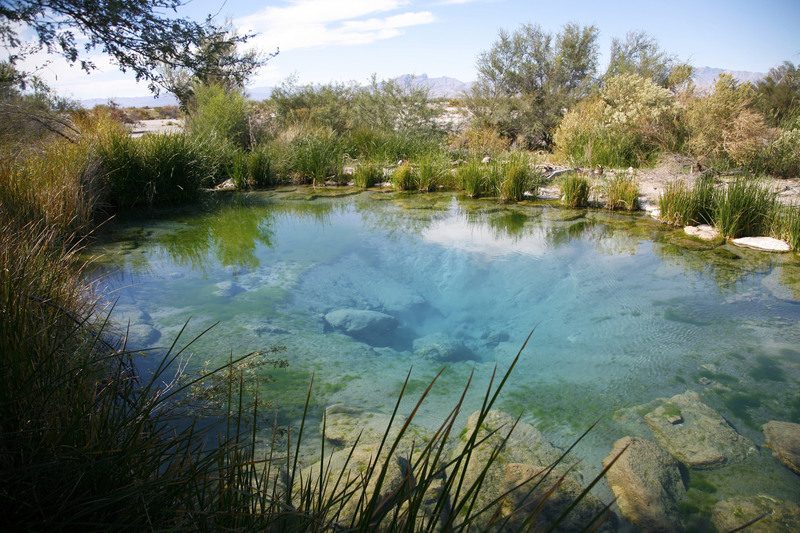 However, the pupfish played a very important role beyond their own survival: federal laws protecting the fish helped block the (in hindsight, insane) plan to build 30,000 homes on the surrounding Ash Meadows section of the valley, a rare spring-fed marshland in the desert that’s home to dozens of other endemic species. So, what could have been tract housing, shopping centers and casinos instead became the Ash Meadows National Wildlife Refuge. The refuge is close to the eastern border of Death Valley National Park and has two entrances (off Nevada State Road 373 north of Death Valley Junction, and off Bell Vista Road near Pahrump), albeit both unpaved roads that may be daunting to some visitors. Don’t be deterred: this park several miles out on the Mojave Desert floor is a shockingly lush oasis that has provided sustenance and habitat to humans, animals, birds and fish for millennia. 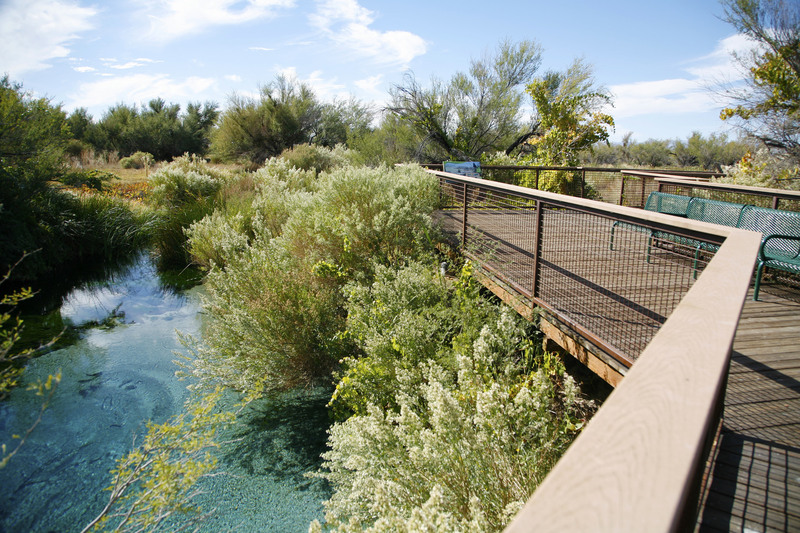 The park has a beautiful new visitor center with a film and exhibits explaining the importance of this rare desert habitat, and an ADA accessible boardwalk takes visitors on a 1.5-mile loop across marshes, along streams teeming with fish, and to a crystal-clear spring-fed pool, tinted blue by limestone. Muddy tracks show that coyotes are frequent visitors, and other inhabitants include migratory birds, frogs, and several species of fish. Elsewhere in the park you’ll find Crystal Reservoir, also fed by springs pumping out 10,000 gallons of 84-degree water per minute from a vast aquifer deep underground, as well as other boardwalks to Kings Spring and Point of Rocks, and this historic Longstreet Spring and Cabin. The ash trees that give the refuge its name, along with abundant screwbean mesquite and even grasses and reeds define the oasis areas, while the surrounding desert features 50-foot sand dunes, creosate bush habitats, and alkali seeps. 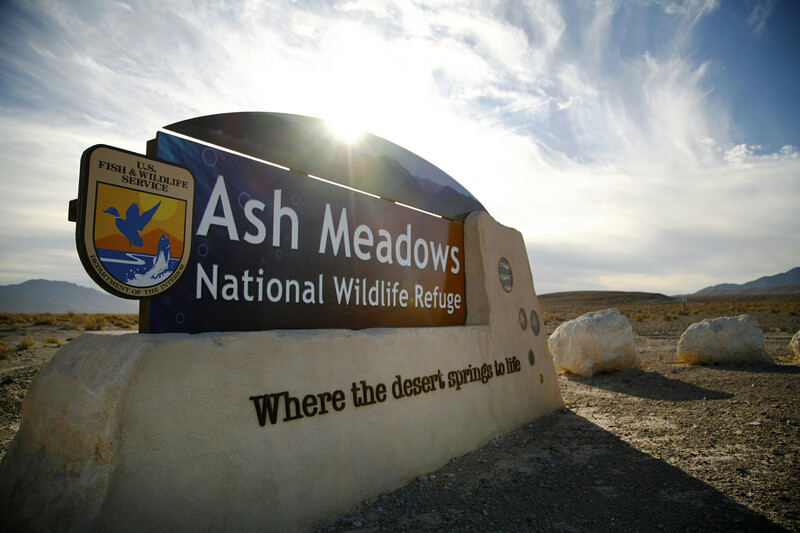 Ash Meadows is a great stop on the way to or from Death Valley, with an important story tell about the history of the desert and the hardy creatures who inhabit these arid lands. At the same time, it’s an inspiring tale of people doing the right thing in preserving a precious habitat so that future generations can marvel at the Mojave’s largest remaining oasis. Previous Post National Park Ghost Towns: Halloween Haunts and History, Too!